What happens to all the mail sent to Sherlock Holmes? It is one of the most famous addresses in all of Western literature: 221B Baker Street, London. Now, an episode of the YouTube series Today I Found Out gives the odd, convoluted history of this imaginary locale with particular attention paid to its voluminous, real-world mail. 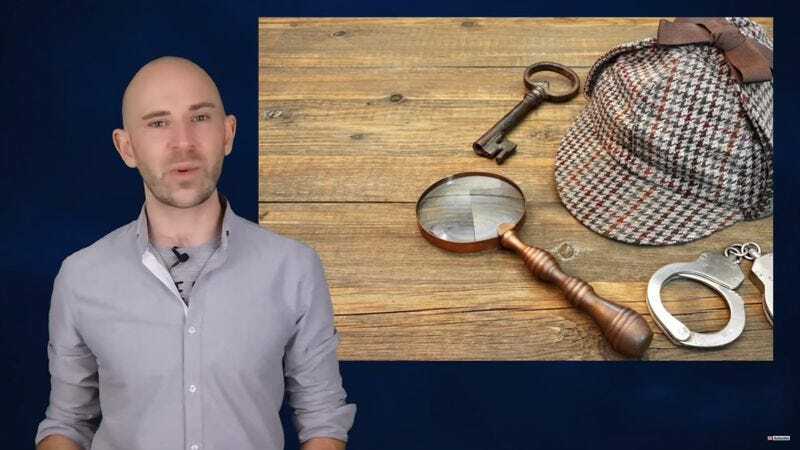 When Sir Arthur Conan Doyle began publishing stories and novels about his brilliant, drug-addled super sleuth Sherlock Holmes in 1887, he intentionally gave the character a geographically impossible home base. At the time, the street numbers on Baker Street didn’t even reach 200. Imagining Holmes to be real, fans sent him letters, ranging from simple fan mail to genuine pleas for help, but their letters could not be delivered. Then, in the 1930s, London rejiggered its street numbers, a move that affected Baker Street. Suddenly, there really was a 221 on the famous thoroughfare, and it belonged to a bank. Admirably, the financial institution didn’t just dispose of Holmes’ mail. Instead, they hired someone to act as the detective’s “personal secretary.” Through customized letters, this ombudsman would gently explain to fans that Holmes had given up his detective gig to go raise bees in the country. This system, too, worked nicely until the 1990s, when a Sherlock Holmes museum popped up on Baker Street. Its proprietors insisted that they were much better equipped to handle Holmes’ mail than any crummy bank. The courts did not see it that way, and what ensued was a drawn out, decade-long legal custody battle over a fictional character’s mail. The saga only ended when the bank moved its headquarters and abandoned the 221B Baker Street address, which was finally granted to the museum, along with the attendant correspondence. The delusional people of the world can rejoice, knowing that their letters to an imaginary detective will be well taken care of.